Cristina discovered her passion for Intercultural Communication and International Business at an early age, during her Intercultural Exchange Program in Switzerland, via Pestalozzi Program. Years later she became a Gold Medal Finalist of the U.S. Department of State`s Future Leaders Exchange Program, experiencing on her own skin the cultural diversity and the distinctions between the economic environments of different countries. 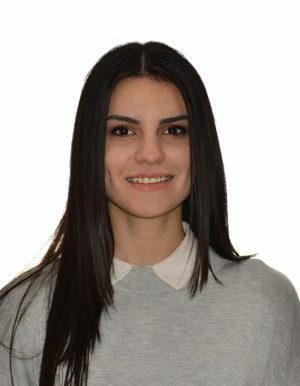 These things led to her becoming a student at the International Economics and International Business Specialty, at Alexandru Ioan Cuza University from Iasi, Romania. Coming from Republic of Moldova, she decided to learn more about the ways her country can change its current difficult situation and become a more developed, prosperous country. Thus, in her first year of studies she won the 1st place in the student`s scientific communication session for the paper “EU- donor of benefits for Republic of Moldova even in troubled times”. After taking part in The Vulnerability of Freedom in Europe Workshop, she focused her attention towards studying more about the core values of the European Union and the challenges it is currently facing.